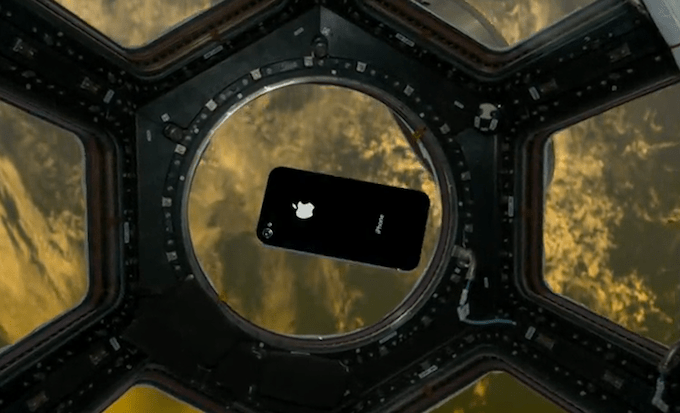 An iPhone floats in front of the space station's cupola, in this rendering by Odyssey Space Research. When the final space shuttle mission launches later this year, two iPhone 4s will be on board. The iPhones will be running an experimental app called SpaceLab for iOS, designed by Odyssey Space Research. Once the space shuttle Atlantis docks with the International Space Station, crew members will use the iPhones to conduct four experiments, using the iPhones’ cameras, gyroscopes, and other sensors. Full story: First iPhone in space to launch with last shuttle mission | VentureBeat. Why not just send up an ipad. Wouldn’t they want a bigger screen, long battery life and overall more functionality. Apart from it, I want to know what the Roaming Charges are going to be from the ISS. Lollll…. I’m guessing they sent iPhones because they’re smaller and lighter, and both weight and size are at an extreme premium on rocket launches.